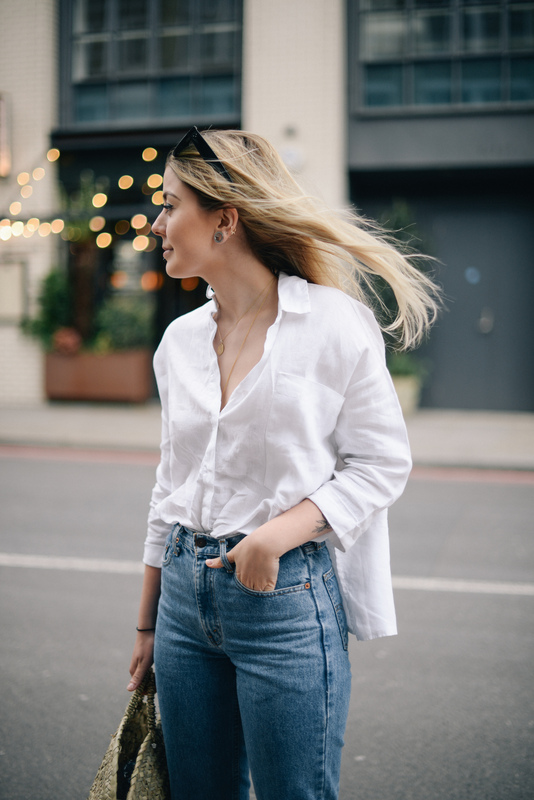 Back with another outfit post, finally! How are you all? 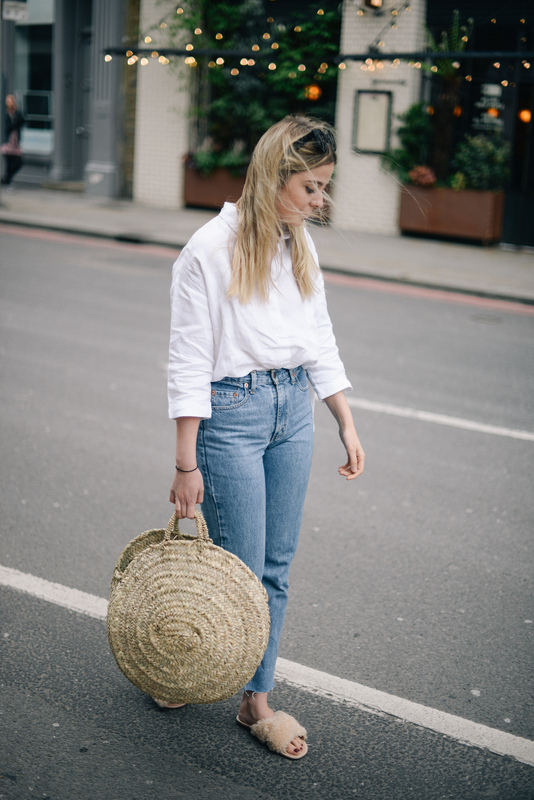 This is an outfit I actually wore a few months ago but with the turn of the weather I can see me reaching for it again ASAP. 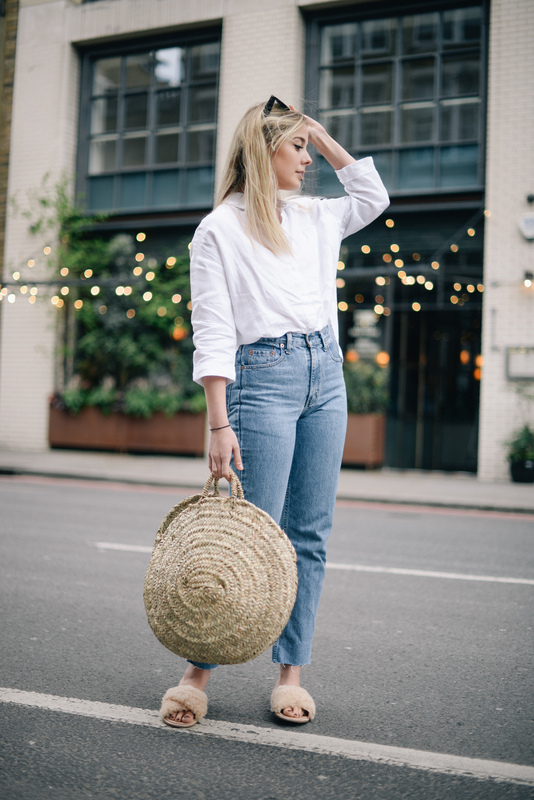 I have been really missing throwing jeans on - I feel so much more comfortable than I do in little dresses or shorts! 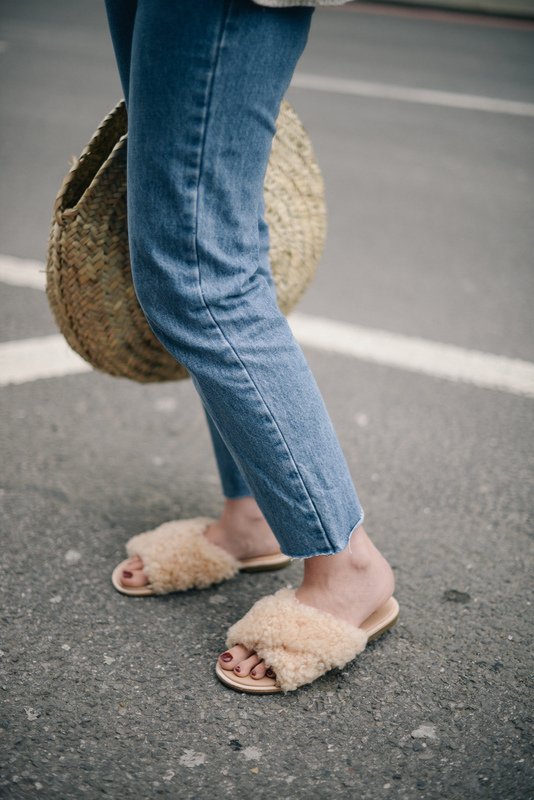 I styled my UGG Joni slides with a really casual, go-to outfit, and my favourite Levi's - which I cut down myself for the length. 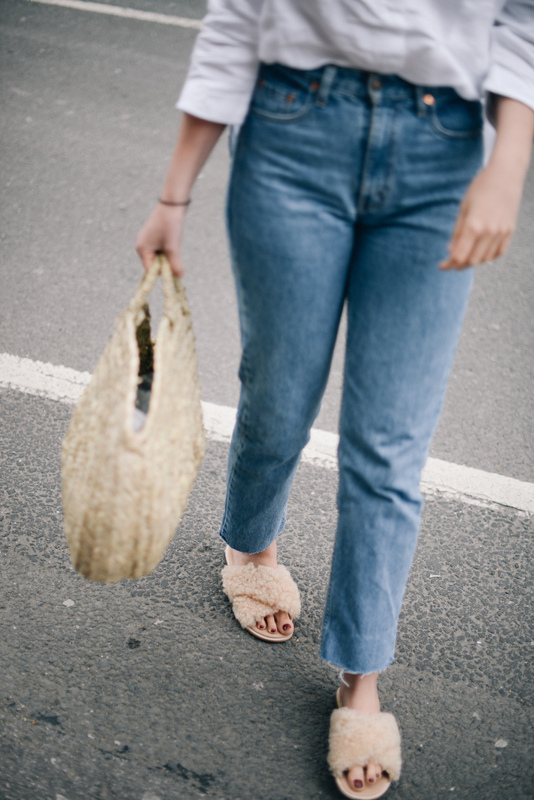 I genuinely adore the sandals as they've got a layer of cushioning in the sole, which unlike my other slides, makes them super comfy and wearable all day. Pepe has also taken a shine to them though, and I keep finding them separately spread around my flat. Naughty puppy. 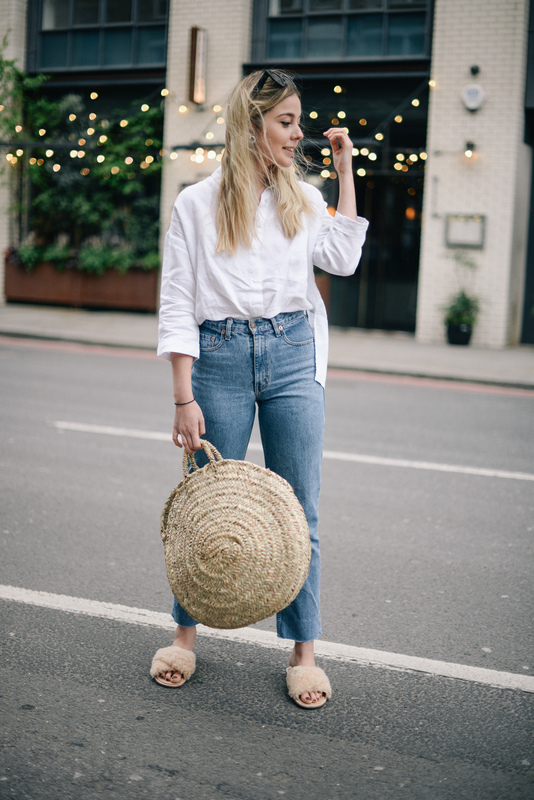 I'm also leaning towards more neutral colours instead of blues and blacks right now, so the beige-y pink tone is perfect for what I'm wearing this Summer. 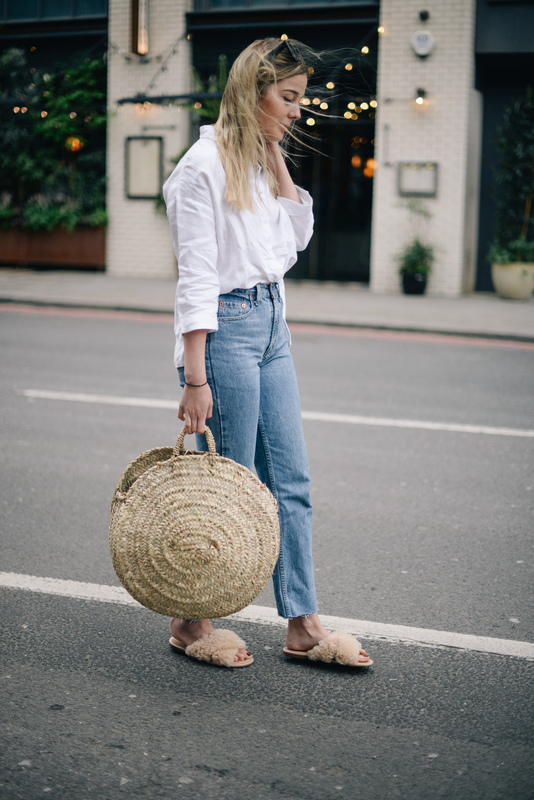 UGG have popped a little page up about me and how I chose to wear my Joni slides too, which you can find here if you fancied a little look!